2018 is history, 2019 has arrived. What are your hopes and dreams, what do you wish to accomplish in this brand new year? None of us is getting younger – the arrow of time only flies in one direction. Before you know it, the adage is staring you in the face: “I thought getting old would take a lot longer…” If that hasn’t happened to you yet, it soon enough will. As the years fly by, we keep saying to ourselves, “Someday, I’m going to…” And that someday never comes. So how about your someday coming this year – making 2019 an adventurous year doing what you’ve dreamed of? This is going to be a busy year for Wheeler Expeditions, too much to put into one TTP article. So I thought I’d give you a heads-up on just three. Why don’t you let me know if any of them get your juices flowing? Hopefully, you’ll be able to join me on at least one, or they’ll spark ideas of yours. Let’s all look forward to An Adventurous 2019. 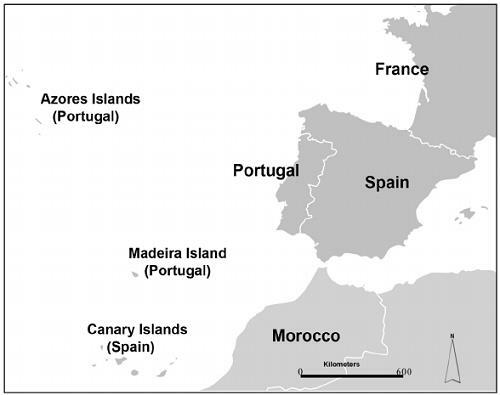 Sequestered between America and Europe are not one but three paradisical groups of Atlantic islands. WX will enable you to experience the best of all three. They are the Azores, Madeira, and the Canary Islands. The Canaries are a popular summer playground for many Europeans, Madeira a hidden gem, while the Azores remain an undiscovered magical refuge. All three are all but unknown to most Americans. Never before has it been possible to quickly and easily experience the best of all three at one time. 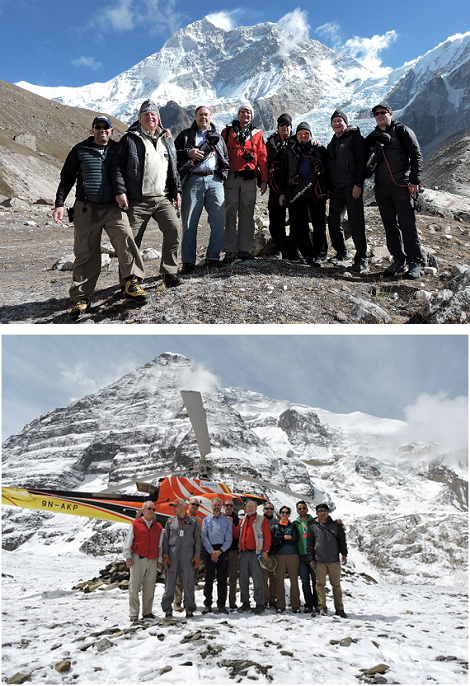 Now, Wheeler Expeditions enables you to do just that. We go in mid-June when the weather is perfect but before the summer tourists have arrived. Each of these Atlantic Paradises is an Eden in its own distinct way. Each is a blissful wonderland of joyful surprise. Join us for life-memorable experiences in all three Atlantic Paradises. The Canaries are a place of astonishing diversity. 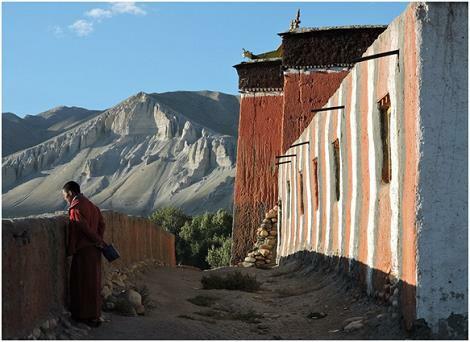 Gorgeous beaches, lush forests, lunar landscapes, quaint villages, cities with nonstop nightlife. Hike to where NASA tests for exploring Mars on Tenerife or find your own gin-clear natural swimming hole, take a lesson in parasailing, join the fun of the never-ending party in Las Palmas, or escape to a romantic secluded hideaway. 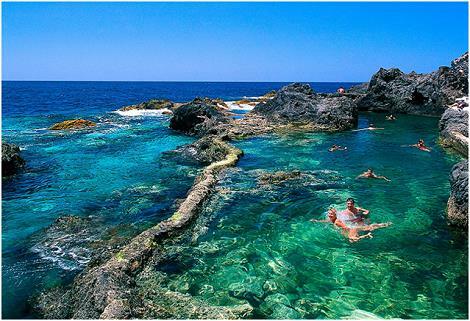 In the Canaries, there is always something fascinating to do and no one is ever bored. 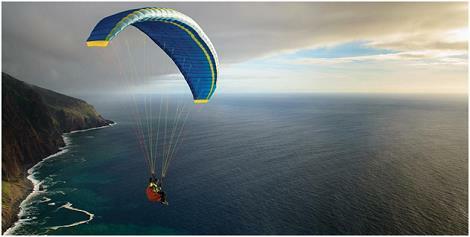 In Madeira, the extravagance of its natural beauty and sophistication of its lifestyle is breathtaking. 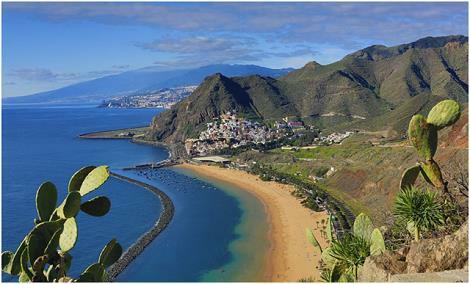 Madeira has an opulence of nature that inspires a man-made opulence of world-class resorts, restaurants and spas. You experience that nature walking along the levadas or irrigation channels bringing water to villages and towns, the man-made dining cliffside overlooking a moon-lit sea. 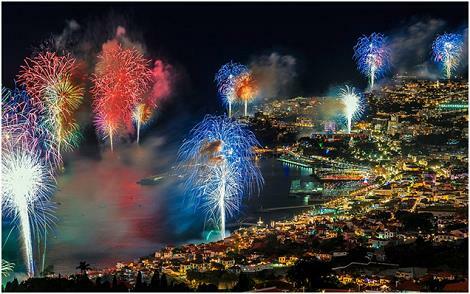 And we will be there during Madeira’s Atlantic Festival to witness one of the world’s most spectacular fireworks displays! Our third Atlantic Paradise is The Azores, the most magical refuge of all, impossibly beautiful, covered with flowers, undiscovered by retail tourism, where you can slide down a waterfall, swim with dolphins, see a giant sperm whale leap out of the sea, or relax in a haven of peace. The Azores lie directly in the migration route of every species of whale and dolphin from the northern to southern Atlantic, and we are there at the best time to see them. The thrill of being next to these peaceful giants of the ocean is such a contrast to the serenity we find on the islands. You won’t want to leave. 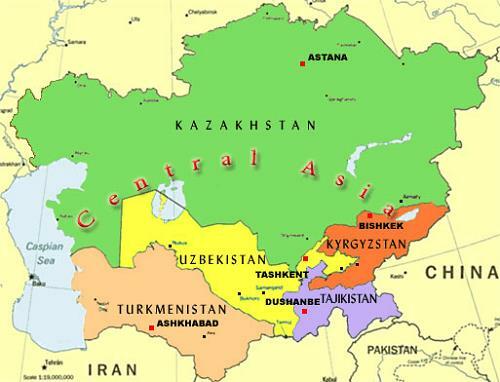 As WX did last fall, we experience all of the “Five Stans” of Central Asia again this coming spring. 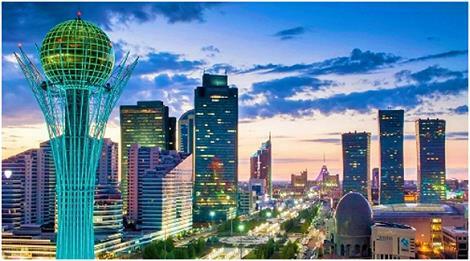 In Kazakhstan, we visit the extraordinary brand-new capital of Astana, where it’s business during the day and fun at night with an overload of bars, nightclubs, and restaurants of every variety. 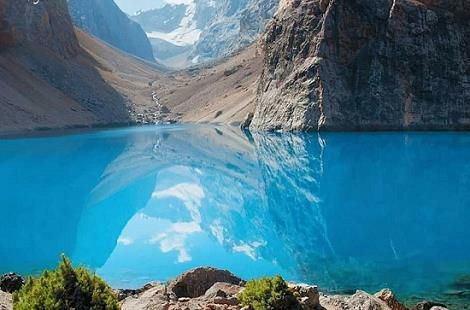 The Kazakhs know how to have a good time – and so will we. 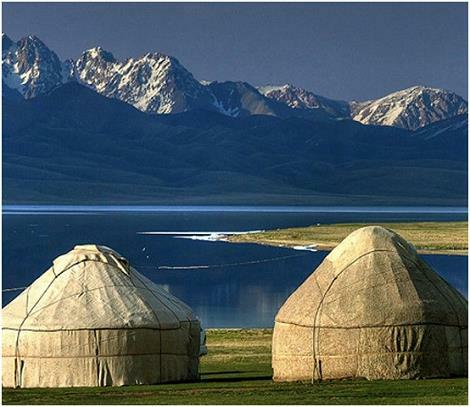 In Kyrgyzstan, the majority of Kirghiz are still nomadic horsemen shepherding their horse herds and flocks of sheep between summer and winter pastures, living in their spacious round tents called yurts. 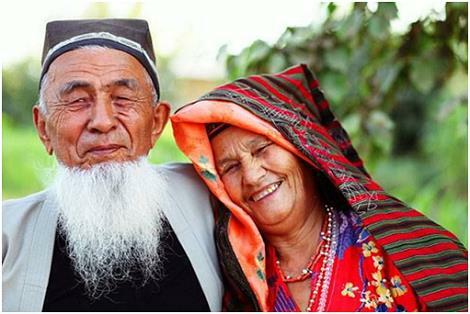 Thus the best experience you can have in Kirghizia is to meet these people and stay in one of their yurts amidst the glorious scenery of the Tien Shan Mountains of Heaven and Central Asia’s most beautiful lake, Issyk Kul. In Uzbekistan, we find cultural and ancient historical magnificence like nowhere else on our planet. Which means we go to the World Heritage Site of Samarkand, the World Heritage Site of Bukhara, and the World Heritage Site of Khiva, with its walled center of Itchan Kala. It’s wonders galore – but the country’s greatest charms are its people who have lived here for so many centuries and continue to live their traditions. 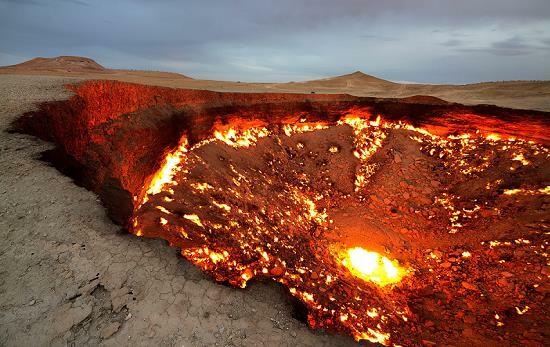 Lastly in Turkmenistan, we camp overnight at the other-worldly Darvaz Gas Crater, known as the Door to Hell. We had such a fabulous time last year – we can hardly wait to take you to all these wonders this year! The world’s greatest adventure is our signature expedition. 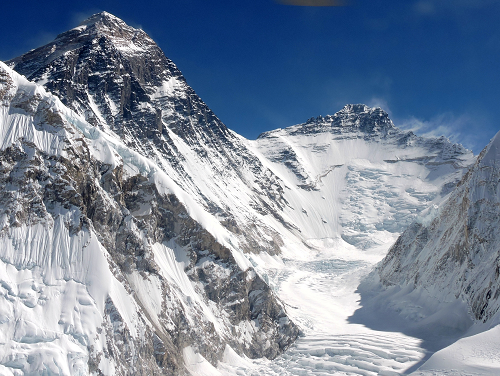 This will be our sixth time to experience all eight of the highest mountains in the Himalayas – by helicopter: Mount Everest and Lhotse (above), Kanchenjunga, Annapurna, Dhaulagiri and so much more, including the Hidden Tibetan Kingdom of Lo. Okay – ready to roll in 2019? 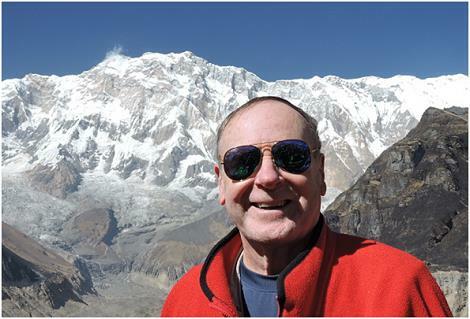 All you have to do is click here to sign up on the Wheeler Expeditions mailing list for the details (and more cool photos) on how to make any of the above and a lot more a part of your life.